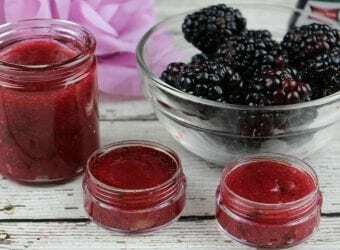 It seems that every day there are new beauty trends bursting out on the scene. Microblading is one that has emerged fairly recently and it has definitely changed the way that I do my makeup. Microblading can be simply described as tattooing on the eyebrows. I bet you've seen some pretty botched tattooed on eye brows but trust me when I say that microblading is completely different. We hope that you enjoy this What is Eyebrow Microblading post. 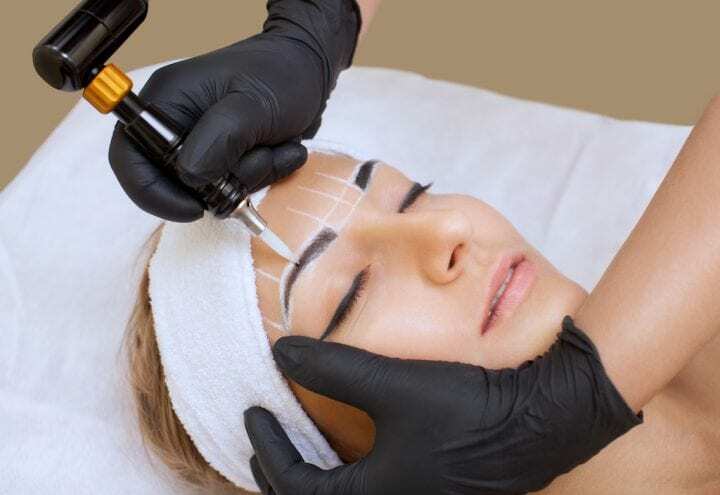 The process of microblading is similar to tattooing in the fact that there is semi permanent ink used in the process but rather than drawing on a shape and filling it in to create the eyebrow look, microblading involves creating individual strokes in order to create the appearance of real hairs. The process is incredibly time consuming but very precise. 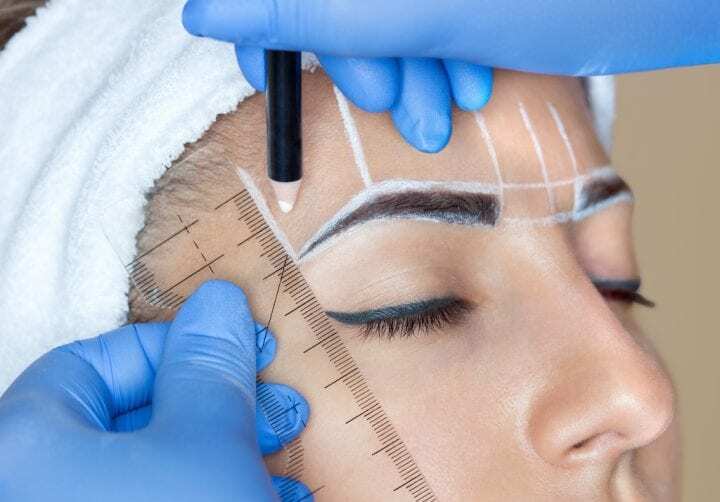 Before beginning the tattooing process, your brows and forehead area will be measured and nothing starts until you are satisfied with the placement of where your new brows will be. My esthetician was very precise and spent a long time measuring everything and making certain that my eyebrows were symmetrical. 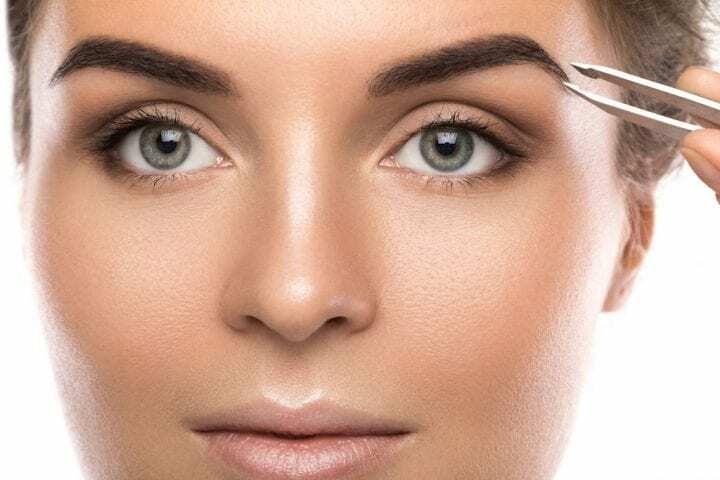 Microblading is not just a trend for taking away having to fill in or groom your eyebrows but it is also a fantastic solution for those who have issues with their eyebrows. For example, a scar in the brows, missing patches, or even uneven growth in hair. Microblading makes your brows look great and it takes away the process of having to fill in your eye brows on a daily basis. 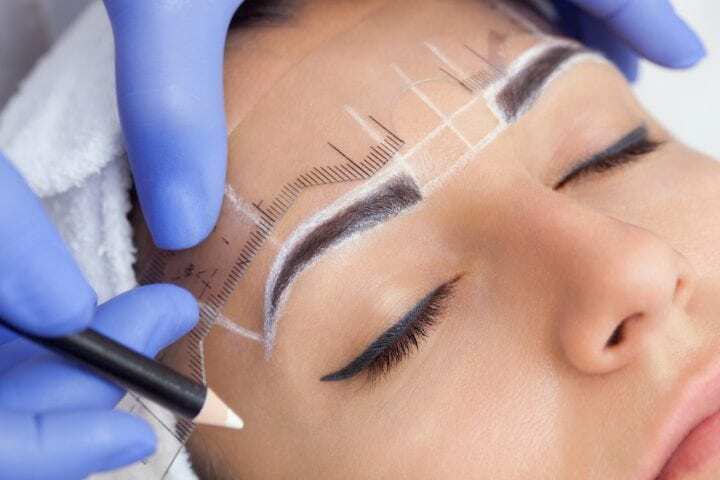 It is important to note that the microblading process does take several hours. My first appointment was over three hours and my second appointment was 2 1/2 hours. Microblading is not cheap but quality never is and this is NOT something you should worry about being cost conscious about. Instead go for quality. On average around the cost $250 for one session (and a second control procedure to fix any issues) but that application lasts around two years. I would highly recommend looking into microblading if you are looking for a more permanent solution for filling in your brows. We hope that you enjoyed this what is eyebrow microblading post. 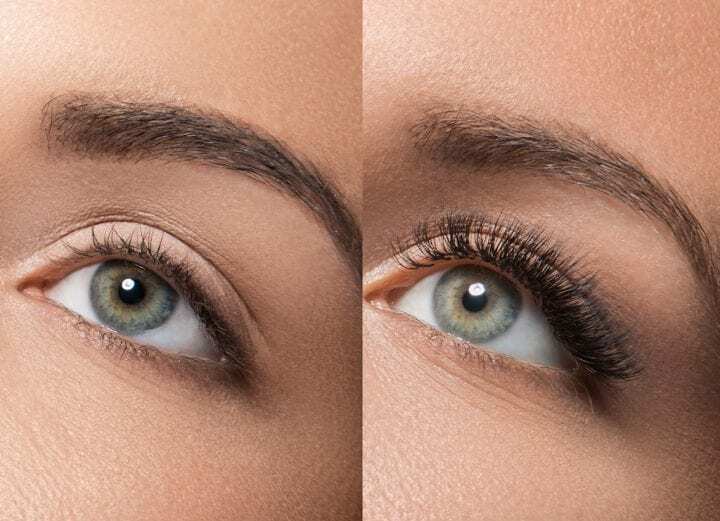 This is such a great post on what microblading actually is – I’ve been tempted to give it a whirl myself some time it does make eyebrows look so neat and tidy. 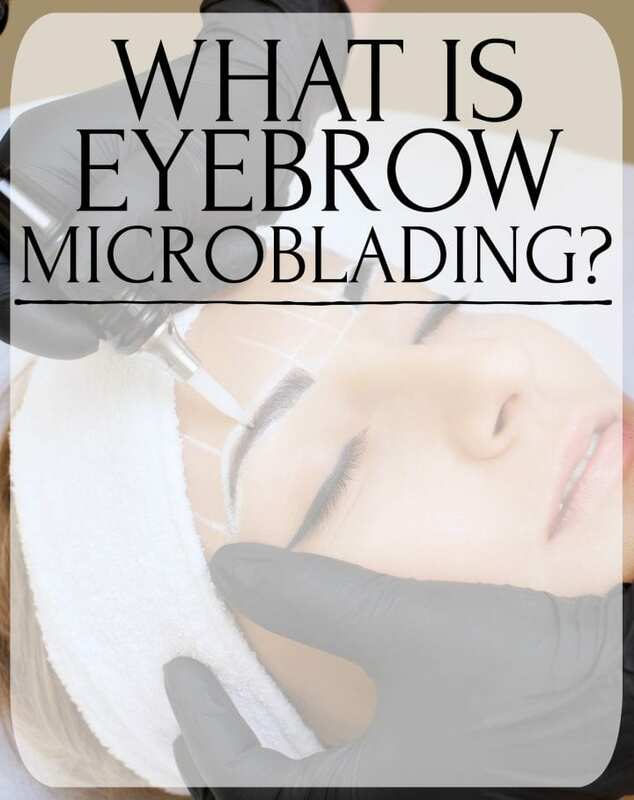 Thanks for explaining what microblading is! I do like some of the benefits that it brings, like not having to do your eyebrows for around 2 years. I have very sparse brows so I would love to have this done. If I could find a deal like this in my area I would go for it! Two years is amazing! How did it feel? Any pain? I have never heard of this and I barely take care of my eyebrows so that may be why. I have been lucky that they kinda just stopped overgrowing so I have slacked on getting anything done to them which is kinda nice. 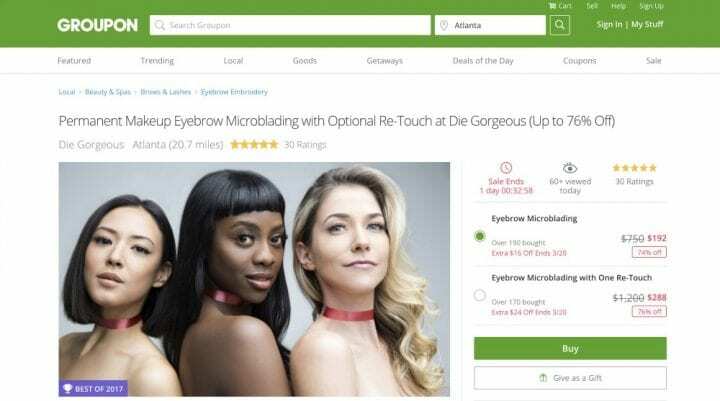 That’s very interesting – I don’t think I had heard about microblading before. I never get my brows done and it would be fun to check this out. I know somebody who had this done and loved it. Her eyebrows really look a lot better now compared to before which was really thin. I’ve been hearing great feedback about this. I have thick eyebrows so I always think I don’t need it. But I might consider it in the future. I have heard great things and I know friends who swear by microblading. I dont have experience yet but I would try it someday. I’ve always been curious and I’ve watched videos of this. It looks painful but most women say that it doesn’t hurt at all. I think it’s a great solution for people who doesn’t have a lot of time to put on brows using make up. It really wonderful! I have never tried to do microblading. But after reading your post, I think it`s time to! Thanks for sharing! This is really interesting. I am not happy with my brows so I think this is the perfect solution!